The IceCream (Ice Crowd-sourced velocity Monitoring) Team has a huge vision: by using EO data, they try to save the glaciers on our planet. Their idea is to create a tool which leverages satellite imagery and climate data to illustrate the impacts of our changing Earth in areas of interest to everyone. The team has been founded in spring 2016 during the International NASA SpaceApps Challenge hackathon. The team members applied as individuals, but soon discovered the potential of their strengths as a team and won the NASA Global Galactic Impact Award with their glacier project, out of 1287 projects coming from all over the world. 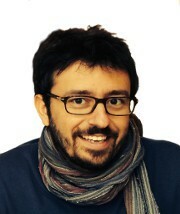 After having won the “Earth Observation Entrepreneurship Initiative” scholarship of ESA in August 2016, the IceCream Team participated in the ESA App Camp in Frascati, Italy, in September, where they could fine-tune the IceKing app design. Being named a finalist of the DLR “Environment, Energy and Health Challenge” of the Copernicus Masters 2016 they are part of the Copernicus Accelerator mentoring programme, and receive continuous support from Victor Rijkaart. Further support of the ESA BIC Lazio, the multiple strengths of the team members and the high-level support from diverse mentors from research and industry create a promising potpourri for future activities. Glaciers are one of the most reliable indicators of climate change according to many scientific institutions such as ESA and NASA. They are also an increasingly popular travel destination, with around 10 million visitors taking a glacier trip each year. Furthermore, they also provide fresh water and hydroelectric power for many communities. At the moment glaciologists organise survey campaigns for glacier health monitoring, in particular to measure the speed at which they are moving, called surface velocity fields. But these survey campaigns are time consuming, very expensive and potentially dangerous. The solution of the IceCream Team is a multi-side platform made of two interlinked tools. On one side, the L.I.V.E Glacier platform, that will provide accurate, timely, precise and global information on glacier surface velocity and water runoff. On the other side, the ICEKing App that will involve the IceCream’s community of tourists in becoming more sustainable. One couldn’t exist without the other in a virtuous circle, where the crowd-sourced photos from tourists will feed into the L.I.V.E Glacier platform, while updated information and infographics on glacier status will be fed to the App. For this reason, the IceCream Team developed a scientific online web tool, L.I.V.E Glacier. It processes ESA Sentinel-1 satellite Synthetic Aperture Radar (SAR) data through a specially developed algorithm, in order to provide scientists with the glaciers surface velocity fields of any glacier around the world. This web tool provides real-time and global large-scale information on how glaciers are evolving over time. In addition to the glacier velocity analysis, an automatic update of the glaciers’ footprint will be performed using Sentinel-2 multispectral data information, which easily allows to distinguish and classify the glacier areas. However, scientists also need in-situ images in order to validate and improve their data models. So how can these images be gathered without costly campaigns? The answer is quite simple: by involving tourists, which are flocking to glacier sites every year. For this purpose, the team developed IceKing, an app for sustainable tourism on glaciers that can be used to crowd-source images from the tourists. The user experience of the app can be split into three parts: before, during and after the trip. Before the trip the app helps its users to organise the trip in every single detail: accommodations, to-do list, a certified portfolio of guides and Sherpas and the list of equipment needed. During the trip, the user is asked to take photographs of the glacier from specific spots identified through GPS. In exchange, the user can expect a host of nice services: When the app realises that a picture has been taken and saved, it will provide a 360° experience, revealing an augmented reality sphere image of the present conditions of the glacier and how it used to be in the past. This guarantees a surprise effect and a moment of perception that the difference over just a few decades is tremendous. After the trip, tourists can access an online diary that maps their journey through GPS and associates all the images and videos they took during the journey, which they can share on social media. The launch of the first app version is planned for end of March 2017 and presents a further step in increasing the efficiency and sustainability of a scientist’s work as well as saving the glaciers and encouraging tourists to spend sustainable holidays while contributing to a better future. The IceCream Team shows successfully how hackathons can contribute to the pooling of talents and to the emergence of creative ideas. Within less than one year the team won several awards and grants and are now about to launch an entrepreneurial venture on the market. The team composition of four women and three men with different backgrounds in engineering, management and design highlights their key to success, namely their diversity. 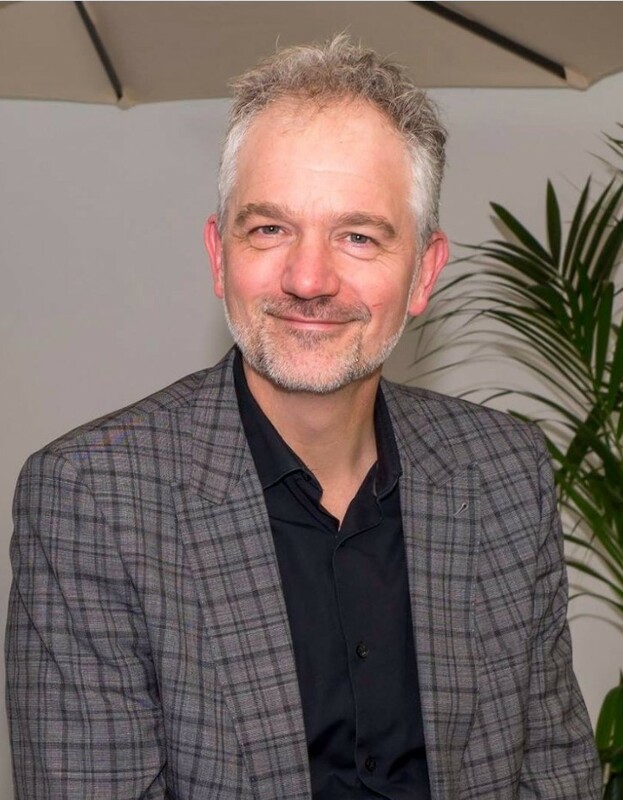 Victor Rijkaart, Director Consulting Services Space at CGI contributes as a mentor to this diversity: thanks to a completely different non-university background he supports them in tailoring their go-to-market strategy from a commercial point of view. Words from the Copernicus Accelerator Mentor: Business is no longer “simply” about solving problems. More and more entrepreneurs, innovators and employees focus on combining business with making the world a better place to live in. Andrea and his team focus on a quite specific yet hugely visible area, glaciers. Global warming causes great changes on these ice-masses and the differences indicate provocatively what is happening with our earth. Supporting research of (and on) the glaciers by combining the information-gathering-power of the crowd with green-tourism and community building creates a valuable proposition. As I work in a highly commercial area, the prospect of mentoring the IceCream Team was a bit daunting at first. However, the determination, great energy and intellectual power of the team quickly won me over. Furthermore, I became a big fan of those clever Italians who are doing a great job by in parallel working on their mobile app, building the platform, securing funds and supports in the right circles with a powerful marketing and community building campaign. For sure, there are many things left to do for Andrea and his team, specifically for an academic team entering the entrepreneurial world. Business models towards sustainable operations are to be reviewed and tailored, and our coaching sessions continue on enriching the IceCream Team’s proposition, empowering the team and executing those pivots to fully deliver on the promise for their customers and values. It is great to work with a team that powers itself and that is ready to make a difference. In their business, and for the world in general. AZO has launched the Copernicus Masters in 2011 on behalf of the European Space Agency (ESA) and with strong support of world-class partners as part of their mission to foster the User Uptake of Copernicus services. The Copernicus Masters is an international competition which awards prizes to innovative solutions for business and society based on Earth observation data. The Copernicus Masters has developed into the moving force of promoting cutting-edge solutions. In 2016, the European Commission has launched Copernicus Accelerator. This one-of-a-kind programme is focused on providing a tailored business coaching service for up to 40 finalists in the Copernicus Masters competition.